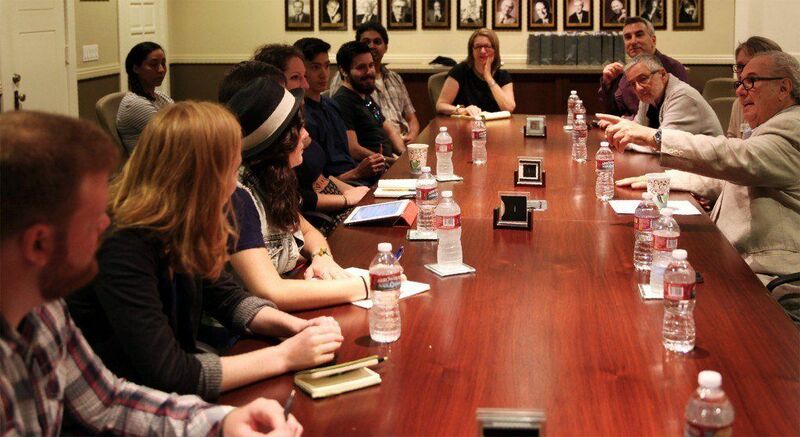 Committee chair George Spiro Dibie, ASC (center, seated) with a visiting student discussion group at the ASC Clubhouse. 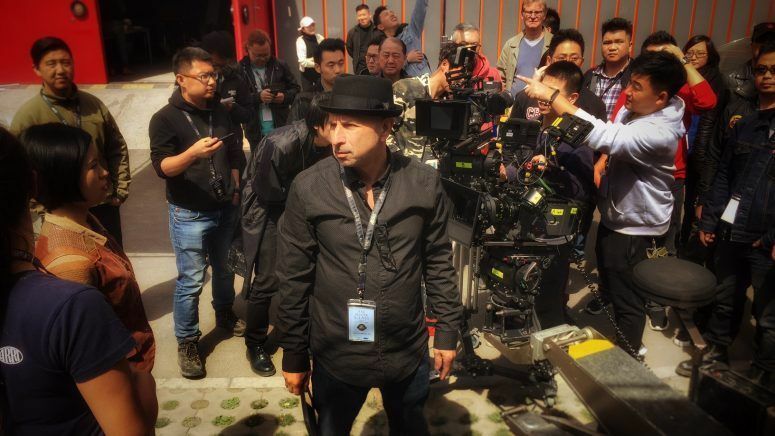 The ASC Education & Outreach committee programs a busy slate of free events for emerging filmmakers and industry professionals in an effort to promote greater understanding of the cinematographer’s craft. 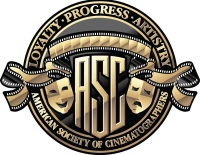 To that end, ASC members volunteer their time to participate in panel discussions, Q&As and lighting/camera seminars at the historic ASC Clubhouse in Hollywood and at trade shows, schools, film festivals and other industry events around the world. 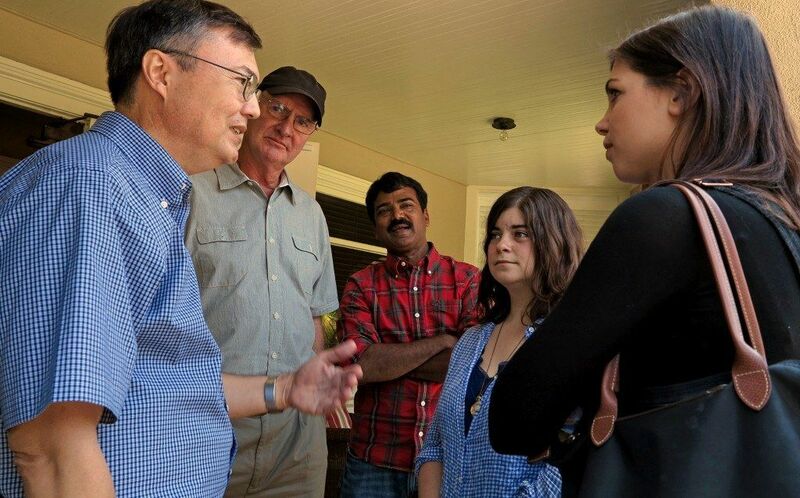 Students from such schools as Loyola Marymount University, Tulane University, College of Southern Nevada, Queensland University of Technology (Australia), California State University-Fullerton, California State University-Northridge, UC Los Angeles, UC San Diego, George Washington University, New York University and Compass College of Cinematic Arts have visited the ASC Clubhouse to learn from this in-person interaction. 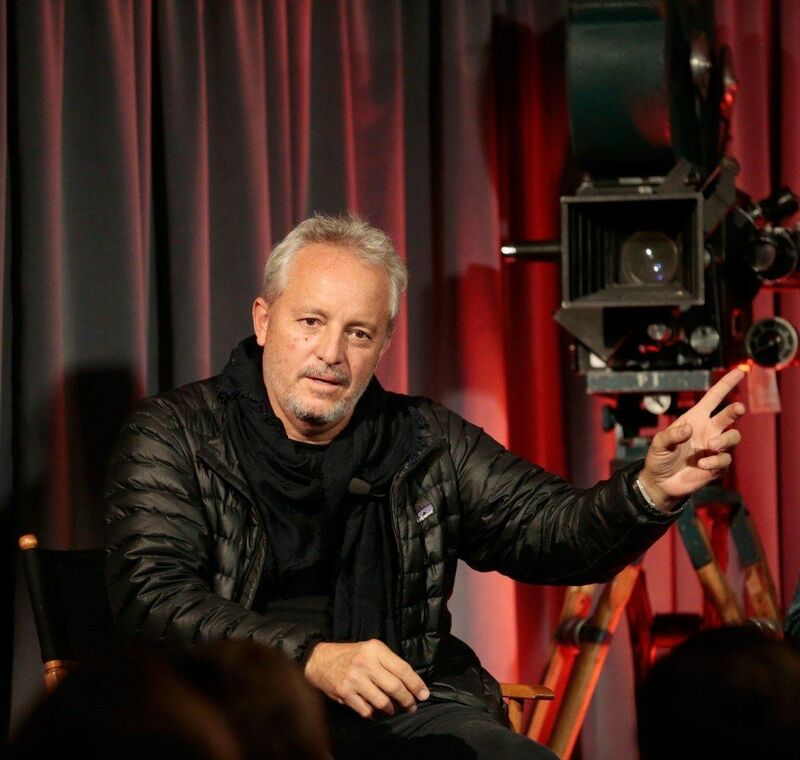 These events — entitled “Dialogue with ASC Cinematographers” — are programmed and moderated by Education & Outreach committee chair George Spiro Dibie, ASC — an award-winning cinematographer, veteran educator and the former president the International Cinematographers Guild. 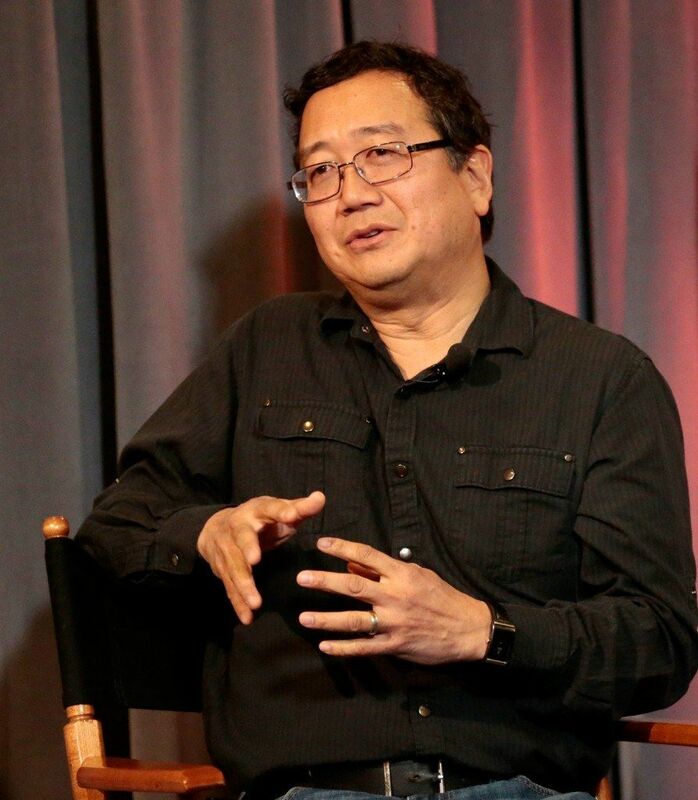 And for Dibie, creating these unique opportunities for film students — no matter their area of primary focus, whether it be cinematography, directing, producing or writing — to interact with members of the professional motion picture industry is a vital role for the ASC. 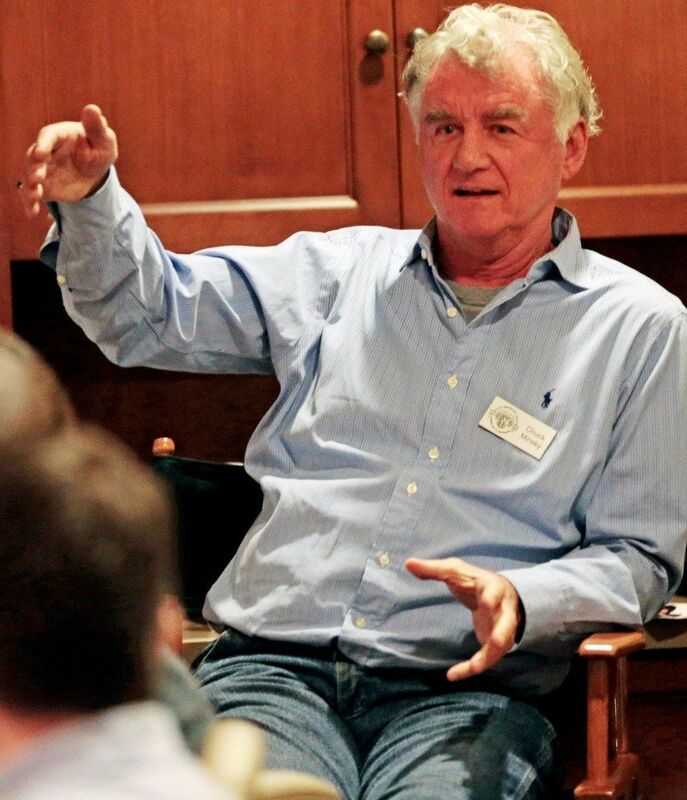 “The experience and knowledge we have gained over many years of hard work on the set is what we’re offering them,” Dibie explains. "You can’t learn that from any book or by studying films, whether it is regarding the creative process or working relationships." 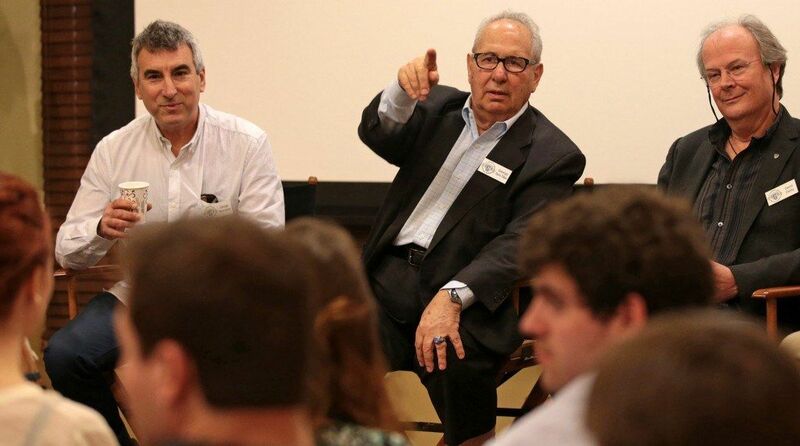 ASC members Donald A. Morgan, Donald M. Morgan, Dean Cundey, George Spiro Dibie and James L. Carter talk with students visiting from Tulane University. From left are participating ASC panel members Chuck Minsky, Michael D. O'Shea, Donald M. Morgan, George Spiro Dibie, James A. Chressanthis, Nathaniel Goodman and Peter Moss. 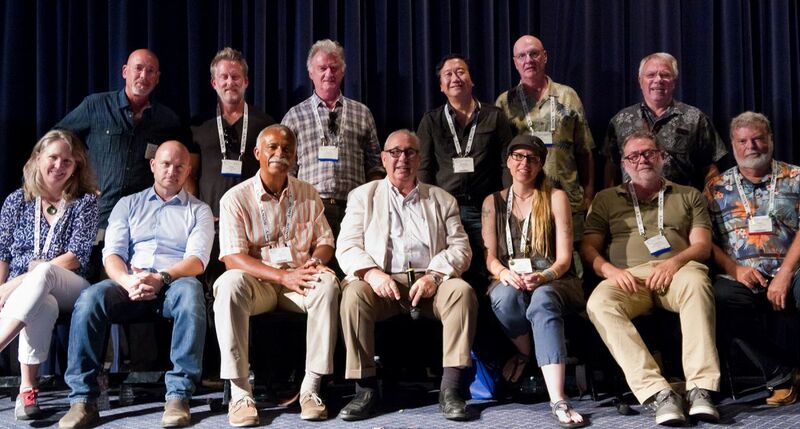 ASC members who have participated in these discussion group sessions include Bill Bennett, Oliver Bokelberg, Stephen H. Burum, Patrick Cady, James L. Carter, James A. Chressanthis, Dean Cundey, David Darby, Steve Fierberg, Michael Goi, Nathaniel Goodman, Peter Levy, Stephen Lighthill, Paul Maibaum, Chuck Minsky, Donald A. Morgan, Donald M. Morgan, George Mooradian, Peter Moss, David Mullen, John Newby, Michael D. O’Shea, Daniel Pearl, David Perkal, Jaron Presant, Cynthia Pusheck, John Simmons, Ueli Steiger, John Toll, Amelia Vincent, Lisa Wiegand and Ken Zunder. For more information about ASC Education & Outreach, email Patty Armacost or call (323) 969-4333.